SLINGSHOT SIGNS SHREDTOWN TO THE GLOBAL WAKE TEAM! 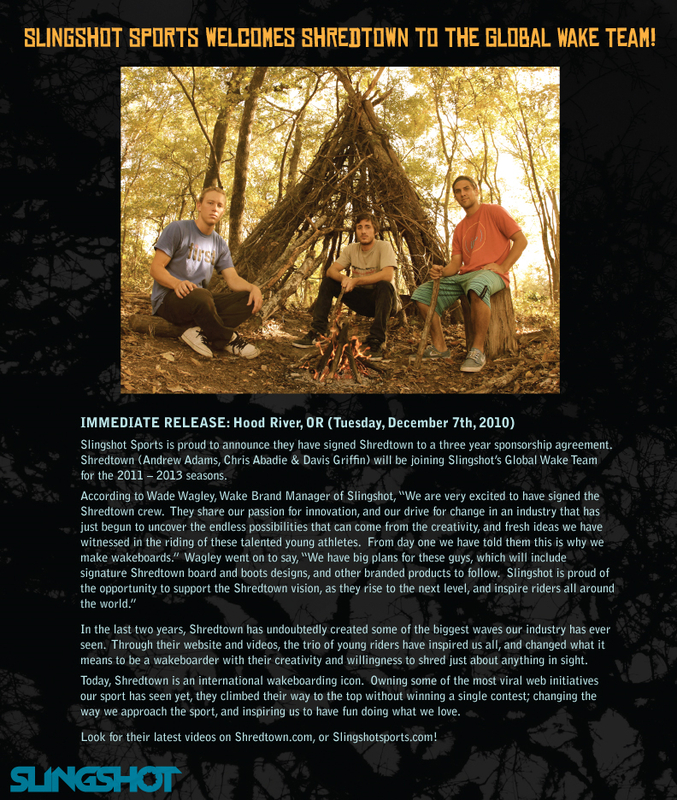 Hood River, OR (Tuesday, December 7th, 2010) Slingshot Sports is proud to announce they have signed Shredtown to a three year sponsorship agreement. Shredtown (Andrew Adams, Chris Abadie & Davis Griffin) will be joining Slingshot’s Global Wake Team for the 2011 – 2013 seasons. In the last two years, Shredtown has undoubtedly created some of the biggest waves our industry has ever seen. 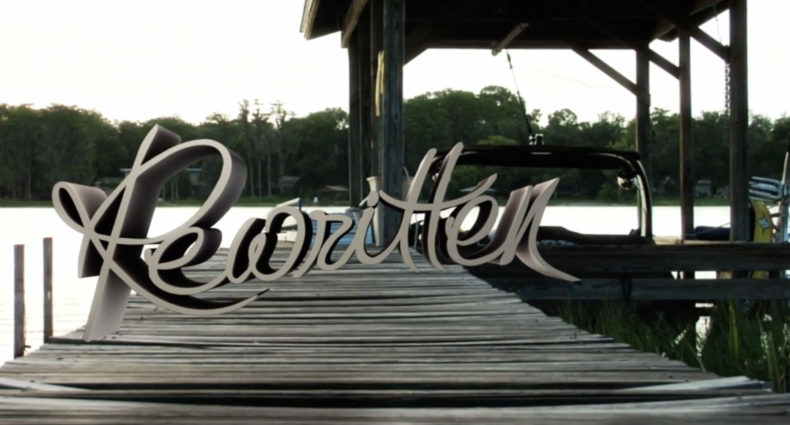 Through their website and videos, the trio of young riders have inspired us all, and changed what it means to be a wakeboarder with their creativity and willingness to shred just about anything in sight. 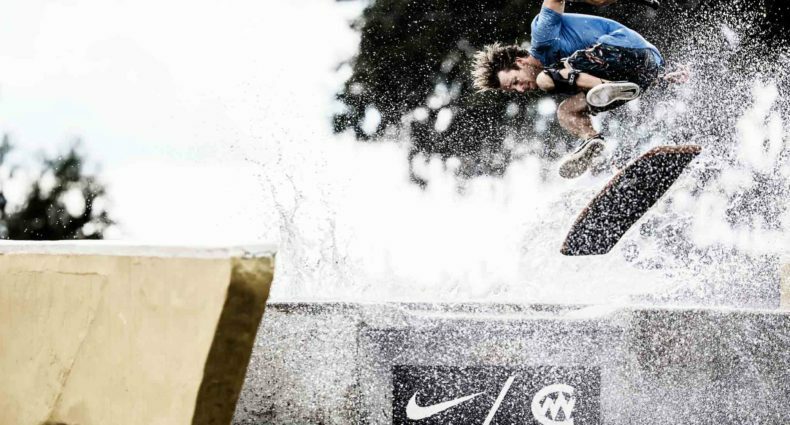 Today, Shredtown is an international wakeboarding icon. Owning some of the most viral web initiatives our sport has seen yet, they climbed their way to the top without winning a single contest; changing the way we approach the sport, and inspiring us to have fun doing what we love. Look for their latest videos on Shredtown.com, or Slingshotsports.com!